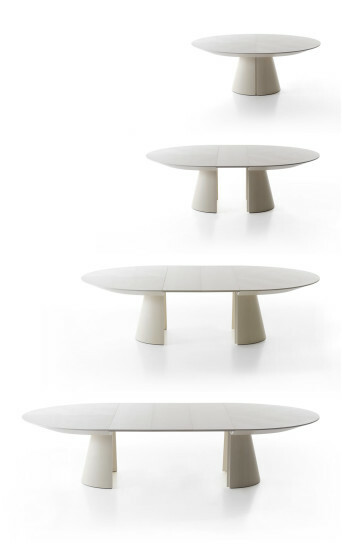 Oval extensible table with aluminium rails. 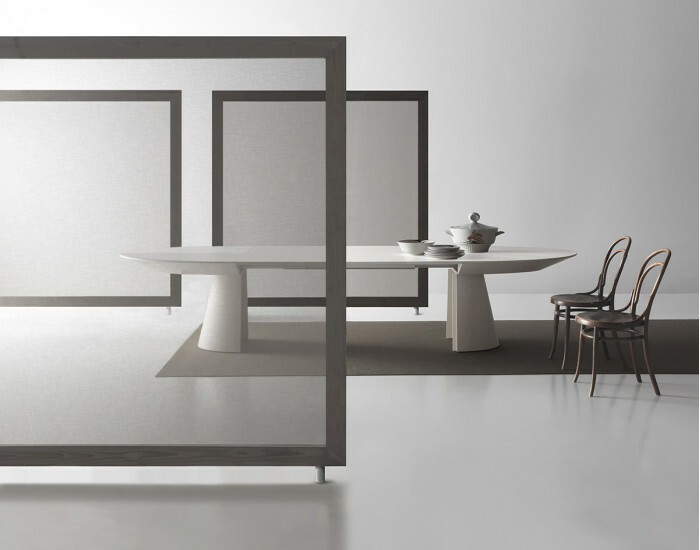 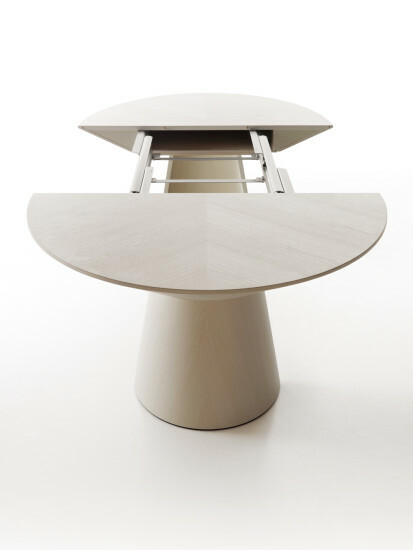 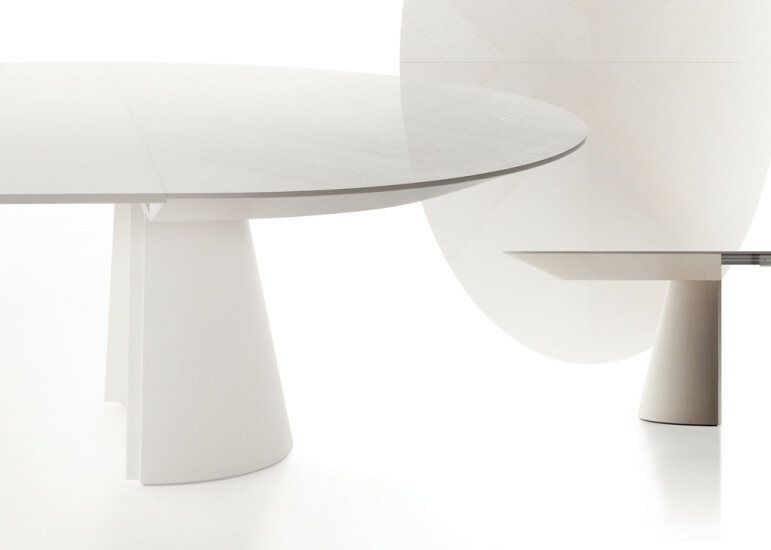 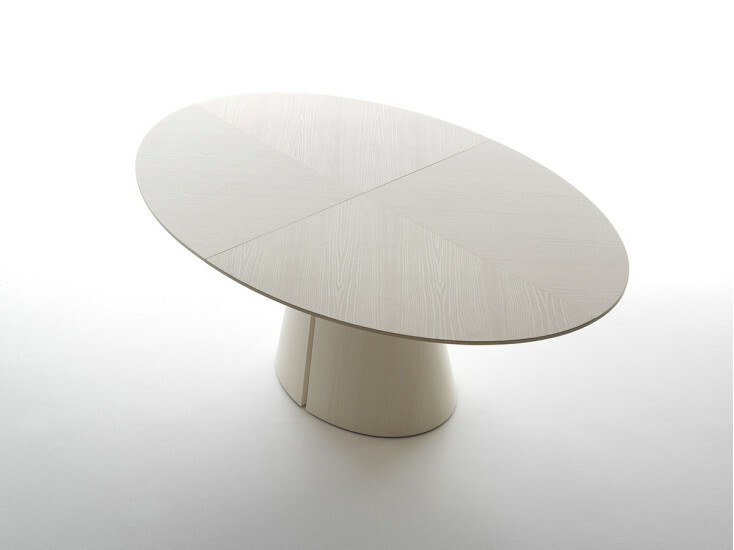 Soft and essential lines characterise the Adagio extensible table. 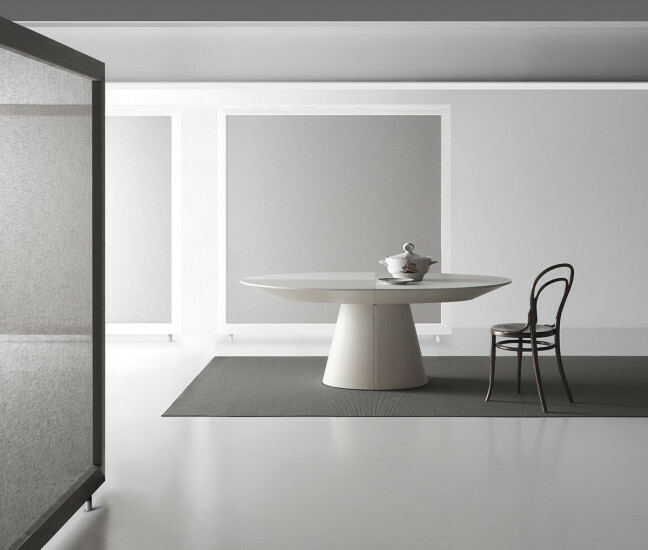 The apparent simplicity of form and minimal style hide in the other hand, the high-tech Bauline mechanisms, which allow great extensibility and the internal storage of the leaves.